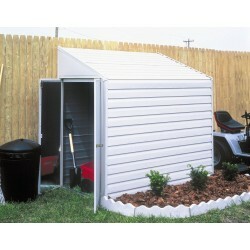 A large door opening allow easy access to riding mowers and other large equipment. 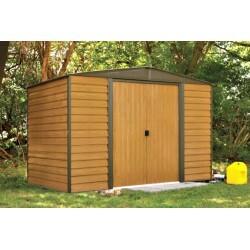 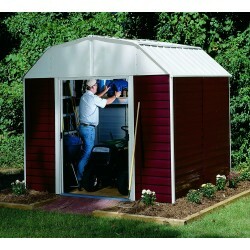 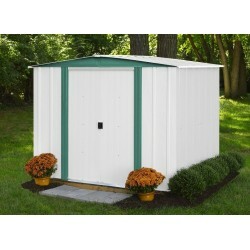 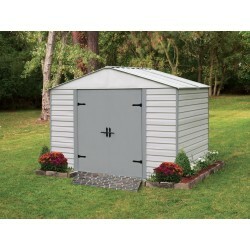 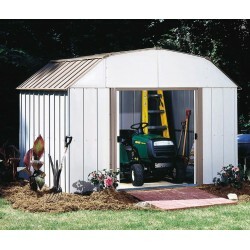 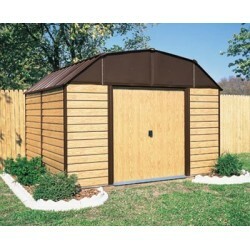 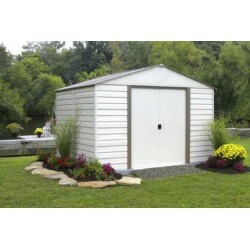 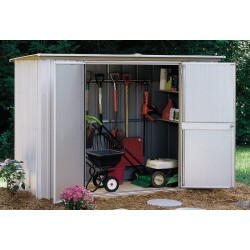 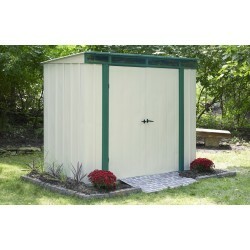 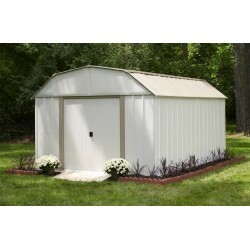 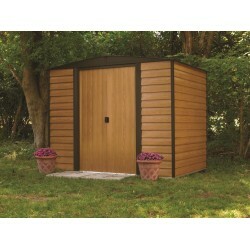 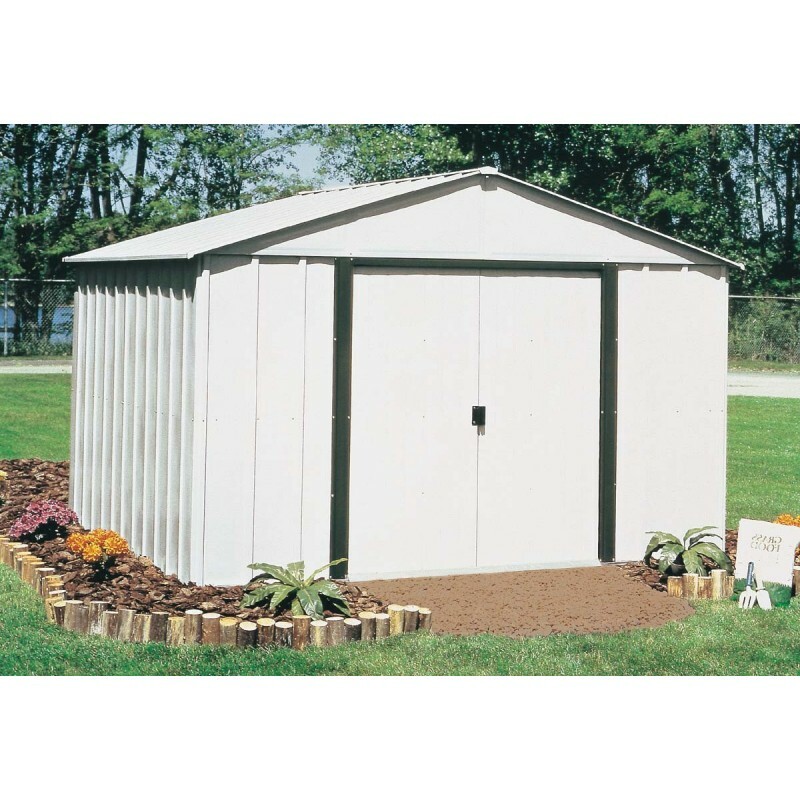 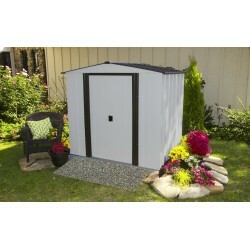 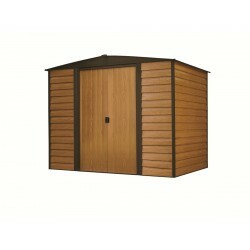 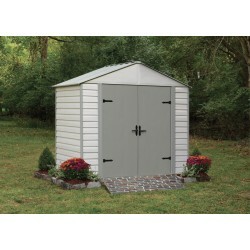 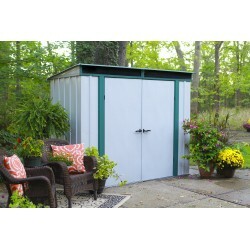 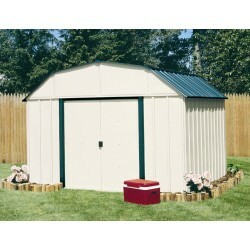 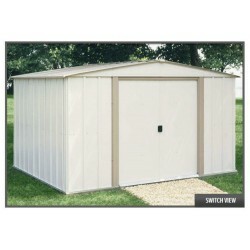 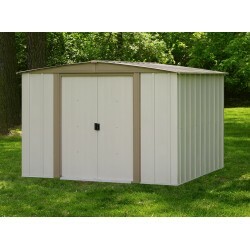 The Arlington 10'x8' steel storage building from Arrow is a great storage value! 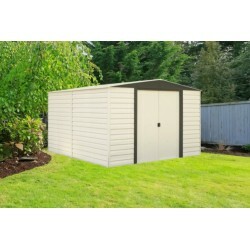 You'll get 440 cubic ft. of organized space for your lawn and garden tools, seasonal outdoor equipment, sports gear and a lot more. 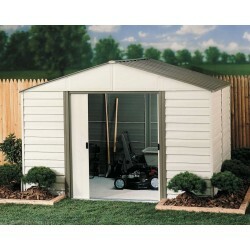 A large door opening allow easy access to riding mowers and other large equipment. 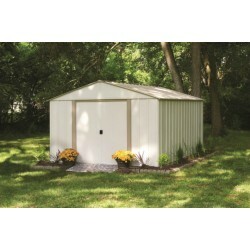 The tall gable roof provides extra head room and a larger work area. 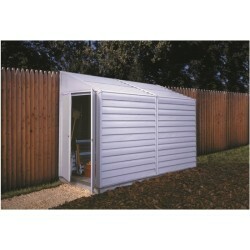 Sliding, deep-track doors are pad lockable. 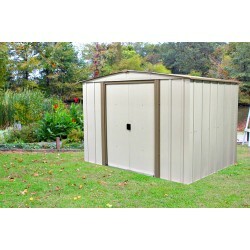 All parts are pre-cut and pre-drilled for faster assembly. 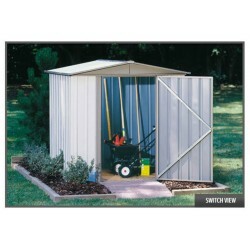 Durable galvanized steel parts give the Arlington a home for your tools and equipment year after year. 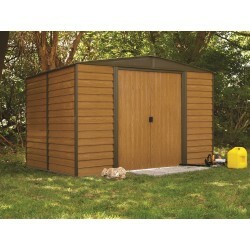 The Arlington is backed by a 12 year limited warranty.